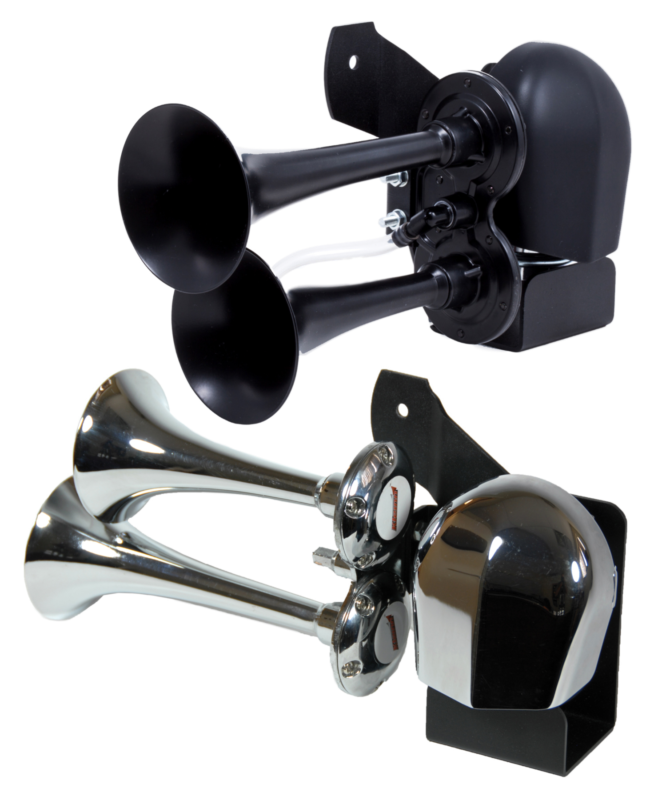 With Kleinn Air Horns…….They’ll Know You’re There! 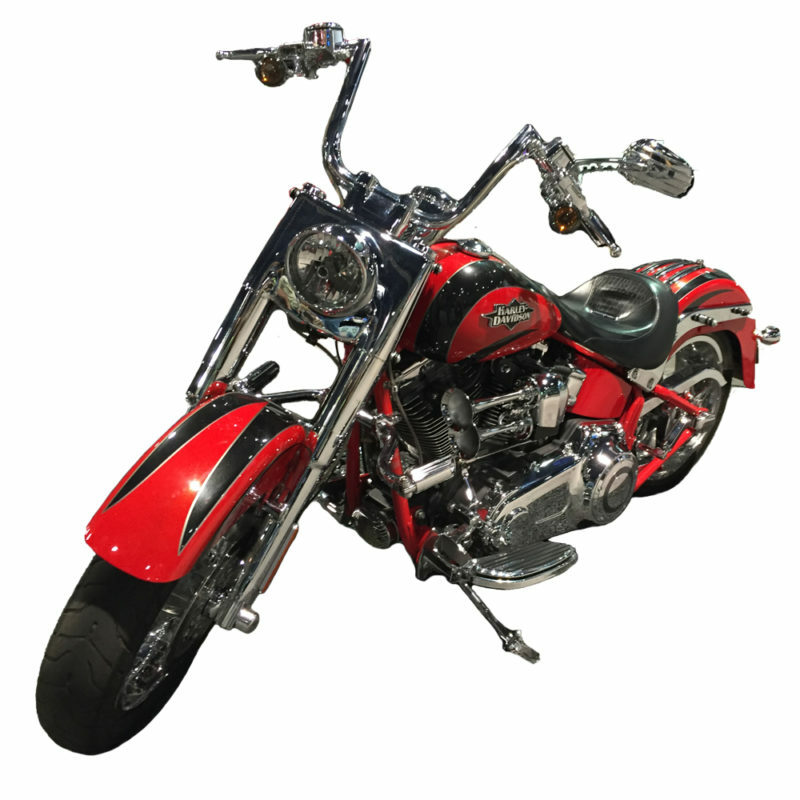 Kleinn introduces an air horn for Harley-Davidson motorcycles that will let them know you’re coming. With an ear-piercing 132 decibel blast you can penetrate the sound deadened, stereo blasting, cell phone talking environment of the cars and trucks around you. Anybody who rides knows that two factors greatly affect your safety, being seen and being heard. Pulsing daytime headlights and loud pipes are often used to improve this situation. The HOGKIT Dual Air Horn takes it a step further and announces your presence with a piercing blast that is sure to be heard by everyone around you. Keeping you safer. And…. It looks COOL doing it. The Kleinn HOGKIT will fit any 1979 and later Harley-Davidson motorcycle with the classic “cowbell” horn cover. 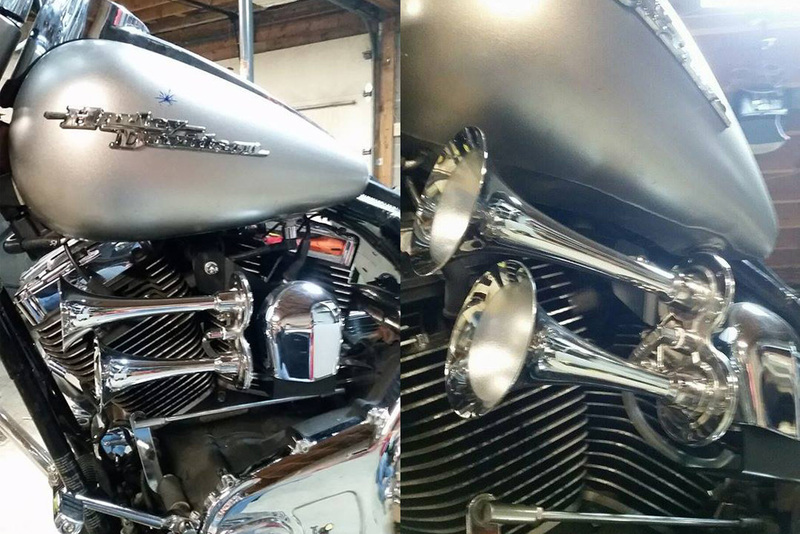 Our 100% Bolt-On Harley-Davidson dual air horn system replaces the factory horn. Everything needed for the installation is included. Your factory “cowbell” horn cover is retained to cover the direct-drive air compressor. The HOGKIT is available in both Chrome and Satin Black. Kleinn Direct Fit mounting bracket. Everything needed for installation is provided. Available in satin black or chrome finish for those who demand a show-winning appearance. 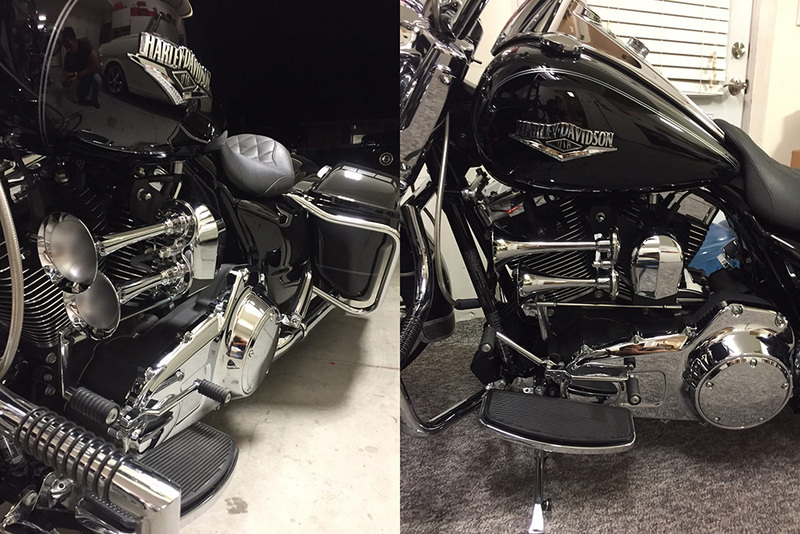 The HOGKIT uses the factory “cowbell” horn cover to hide the 12-volt direct drive air compressor. Incredible 132 Decibel Blast – They’ll Know You’re There! Note: Cowbell horn cover not included with the kit. Your factory original horn cover will be used. How Does It Stand Up To Bike’s Vibration?